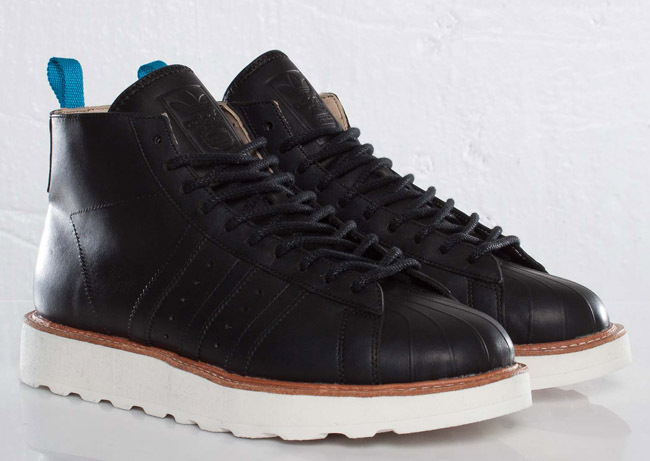 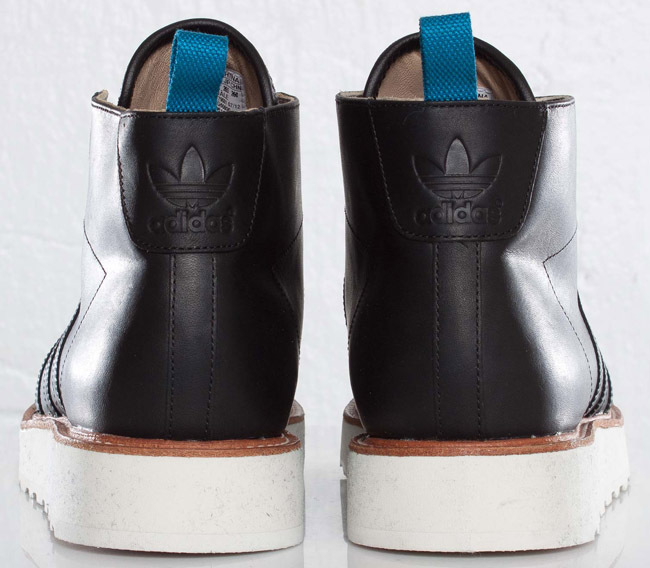 These Winter Star boots from adidas Originals are inspired by basketball and dressed for the street. 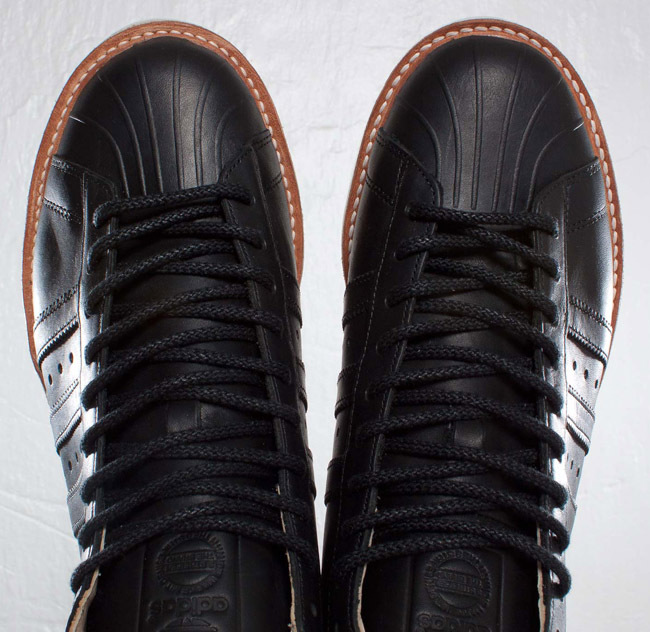 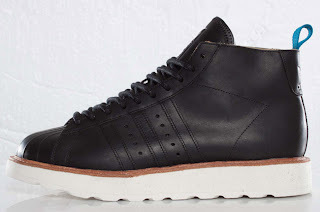 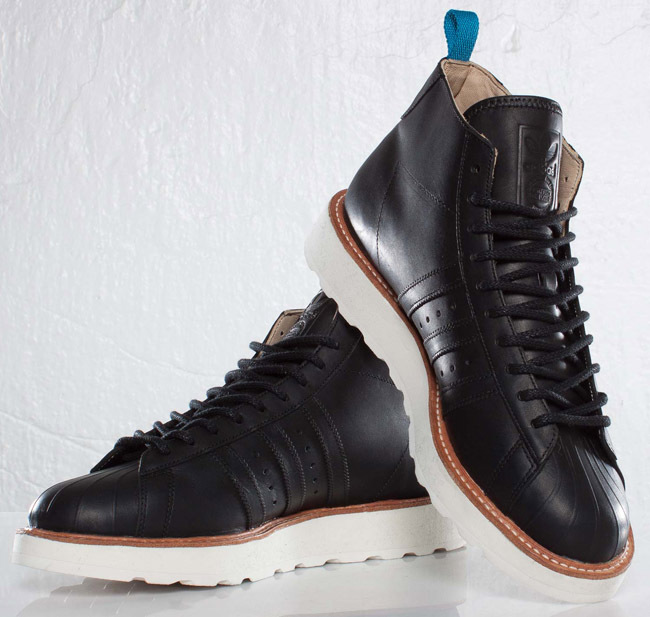 They come in a premium full grain black leather upper and feature tonal stitched on 3 stripe branding down the sides, a rubber cup toe unit and an off white blown rubber midsole with brown trim. 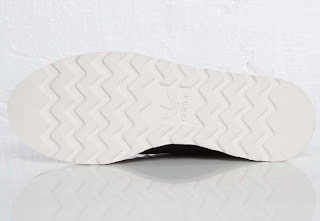 Other details include a leather lining, an EVA cushioning, embossed adidas Originals branding on the heel and tongue, plus a spare set of blue laces.